Ideal for all skin types. Non-comedogenic. Non-irritating. Non-sensitizing. Dermatologist tested. Cruelty-free. Glide the spatula lightly across the top of balm. Dot with fingertips and massage into skin. A little goes a long way. Use a rice-sized amount for the whole face. Can be used alone or with makeup. Apply after SPF, before any makeup. Suitable for use on face, eye and lips. Replace the lid tightly after each use. The Silk Canvas is rated 4.6 out of 5 by 111. 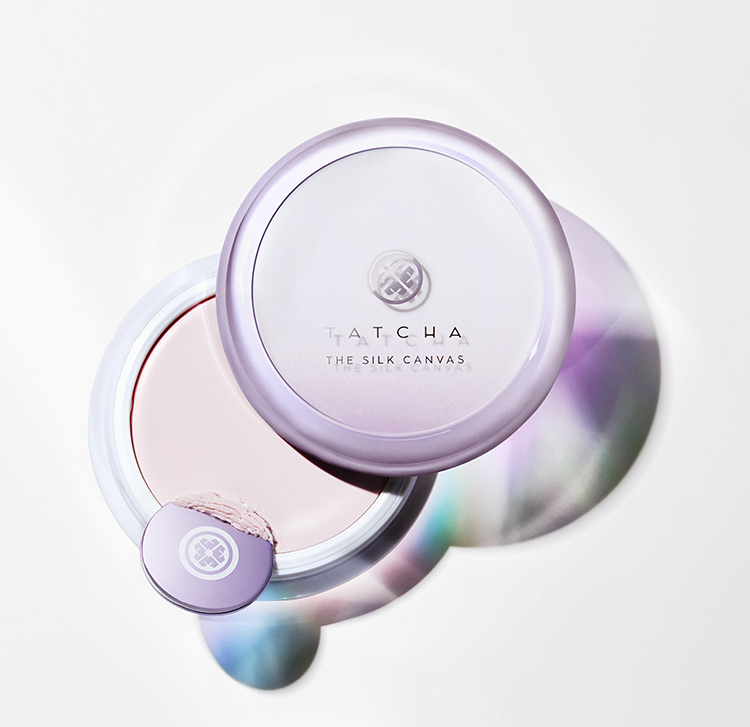 Rated 5 out of 5 by Anonymous from Perfect Primer My skin always feels its best at night after following my TATCHA Ritual. In the morning, I always felt that putting on makeup would be clogging the pores that I had just cleansed. Hearing about TATCHA's newest product, The Silk Canvas, I knew this was for me. The Silk Canvas puts a barrier between my cleansed/moisturized skin and my make up. After using it, I am hooked. 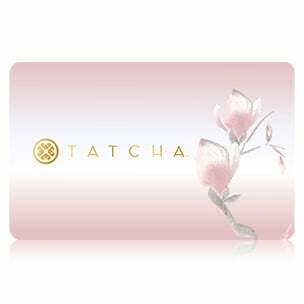 Like all TATCHA Products, less is more. It goes on smoothly as I massage it into my skin. I have found that my make up looks brighter and lasts throughout the day. I have even gone without makeup on a few occasions, using just The Silk Canvas. Thank you, TATCHA, for another wonderful product! Rated 5 out of 5 by Irolynot from "The Silk Canvas" is the BOMB!! This product makes my face feel like heaven!! I put this product on after my morning & evening skincare regime to lock in all the goodies. If I am venturing out - my next step would make this my primer, otherwise it just locks in with added benefits that are only better for me & my skin. Don't understand the naysayers as I find Tatcha to be one of the best out there! I have been using their products from Day 1 on QVC and have never been disappointed. They are unique, the ingredients are beneficial for every skin type, and they work the way they say they do. If you don't feel they are working - they are an added preventative skincare. LOVE!! LOVE!! LOVE!!! Rated 4 out of 5 by Amy P from It's good This primer feels like a luxury balm on my skin. I did not necessarily notice it minimizing my pores but that may be because I am using many products from this line that already do that. The texture of my skin felt really smooth and soft after using this. I do feel that my makeup went on more evenly and that I used less of it, but it did not prolong the wear of my makeup, although it did not worse than any other primer in this Alabama heat. I would recommend using a setting spray with this and it would be incredible if Tatcha came up with one with the skin loving ingredients they are known for in it. Rated 5 out of 5 by Tonya from Those Geishas In the past, I tried primers and felt no affection for them. They didn't deliver anything but an added step to my routine. I’ve ignored them all until my beloved TATCHA introduced theirs. The results I saw after the first application, startled me. My pores which are the size of moon craters vanished. And by the end of the day, my makeup was still in place. No Houdini act as is typical for my foundation. Such an amazing primer.! I want to put in the suggestion box to please develop a powder foundation for combo skin. Those geishas and their beauty secrets.... Love you Tatcha. Rated 5 out of 5 by Oum from A makeup artist's dream As a makeup artist, I can tell you this primer is a game changer. The texture is like pure silk on skin, and glides effortlessly when applied leaving a soft-focus finish. Skin looks transformed even before foundation is applied making my job so much easier. I especially love this for under-eyes! Concealer did not crease one bit even shooting under warm lights! Pores and fines lines look immediately diminished and the tone has a beautiful lit from within glow. I have been using the Dewy Skin mist on clients for years and have recently been adding more Tatcha products to my kit. 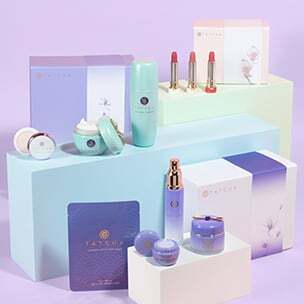 If this primer is any indication of future things to look forward to, I can see my kit getting taken over by Tatcha! It's amazing! Rated 5 out of 5 by LolaV from Absolutely Love I ordered this primer on the 8th received it on the 10th ..... I chose regular shipping...that's bad ace for one then the primer.....HANDS DOWN IS THE BOMB!.....I have been watching and debating the purchase due to price until for months...then 20% discount....THANK YOU TACHA! It was worth every penny....I have combination oily skin....I used it as directed.....after my face routine I gave it 10 min after my moisturizer application then applied the silk canvas.....I allowed the primer to sit while I did my brows.....applied foundation.....my face was BEAT! 1 suggestion....make it affordable for the average person and this product will fly off the shelves....what about a more affordable size? Rated 5 out of 5 by Vicki from The Bomb - as in GREAT I am 54 yrs old and started and only started using a primer in my late 40's. I was never completely satisfied with my attempts to find one so I decided to try Tatcha's. Wowza! I have been using the silk canvas for six weeks now. It blurs imperfections way better than other primers but I just recently noticed that my skin and the fine lines are now less noticeable. Plus my tinted moisturizer goes on thicker and lasts longer now. I actually almost forgot to put on my tinted moisturizer a few days ago before leaving for work because my skin looked so good with only the silk canvas. I love love love this stuff!! Rated 5 out of 5 by Chat from Greatful I am completely in love with this product! I am 44. My issues are small fine lines, dark circles under my eyes and visible pores. I have too many primer products and wasted an unnecessary amount of money thinking they would help. This product is amazing! It’s so great that my girls and HUSBAND noticed a difference in my makeup. It doesn’t crack, flake or crack. It’s light and easy to apply. You don’t need a lot of product to get the desired results. From personal experience... don’t use to much and avoid the eyebrows. Then continue your makeup routine. I didn’t need a setting spray what so ever. Granted everyone’s experience will be different but personally I am so satisfied! The picture below is with no filter on my iPhone X with the camera flipped. From the video, this looks beautiful on the skin. Will this look last all day if I wear it on top of moisturizer, without any other make-up on top of it? I am hoping to give my acne-prone skin a smooth, blurred appearance with minimal products. Thank you for your question! Yes, the Silk Canvas is formulated to last all day and provide a beautiful filter-like finish until you cleanse the skin in the evening. We hope this helps! What specific types of oil are in this product? My skin breaks out with certain types of oil. This product sounds great but I want to avoid a bout of acne from a &quot;trial&quot; if possible. Thank you for your question! The essential oils that are a part of this formula are all known to be non-comedogenic. We also clinically and dermatologist test The Silk Canvas to ensure it is non-comedogenic, non-irritating, and non-sensitizing. If needed, kindly email our customer care team at info@tatcha.com a list of the oils you have a known sensitivity to, and they will be happy to check it against the list of ingredients for you. We hope this helps! Is this primer silicone or water based ? Thank you for your question! Our primer is silk based. We hope this helps! Does the travel size come with an applicator like the full size does? If not, what do you suggest for the application? Thank you for your question! The travel size Silk Canvas does not arrive with a disc. We suggest simply using fingertips to dispense and apply the balm to skin. We hope this helps! Will it have a flashback/white cast? No, there is no white cast to The Silk Canvas, in person or in photographs. Thanks for asking! The Silk Canvas is formulated to be ideal on all ages, skin types, and shades of beautiful. Also, our proprietary complex Hadasei-3 made with fermented rice bran, green tea, and red algae enhance the anti-aging capabilities of this primer. We hope this helps! I was excited to try the silk canvas because I love the products I have purchased from your company. I am confused and sad because after I apply it over my moisturizer it balls up even before I get a chance to start my foundation.